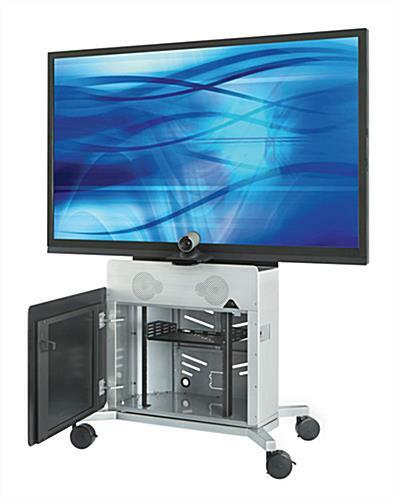 This TV Stand Has a Rack Mount Storage System for Accommodating All Sorts of Equipment! 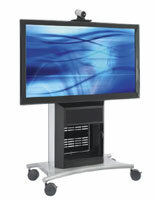 This AV Cart for Video Conferencing with Cabinets Have a Swing Open Glass Door! This TV Stand Is One of Many Great Solutions! 200mm x 200mm - 800mm x 600mm mounting pattern on VESA compliant bracketing. 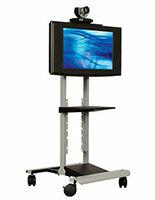 Camera tray is height adjustable for convenient viewing in the boardroom. Cable organizing system makes sure the cords remain concealed. This TV stand uses a black finished glass door to access the interior storage shelves. 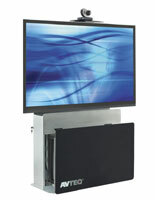 The cabinets include rack mount systems that offer 10 rack units of space. This TV stand with internal compartment has casters at the base for transporting the unit. The wheels can lock when the appropriate position is found. This TV stand has a steel metal exterior with a silver finish that will last a long time. There are built in vents to prevent the electronics from overheating. 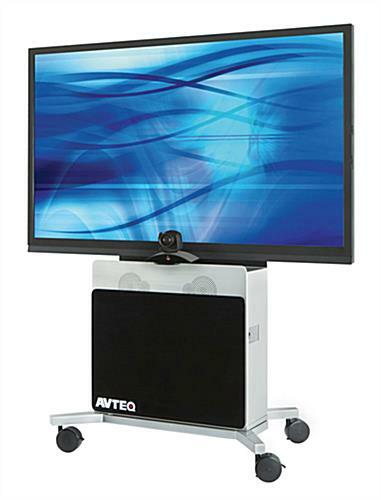 This TV stand for video conferencing, commonly called plasma racks, have a cable managing system to organize the cords. 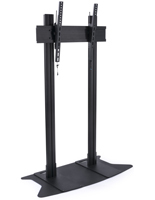 The included bracketing is VESA regulated to support 80" wide televisions. This TV stand that accommodate up to 400 pound flat screens comes with a six port power strip for charging electronics. 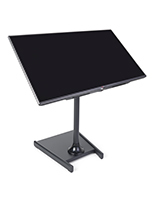 The LCD screen holder offers a 48" wide footprint. 48.0" x 64.0" x 22.0"